The SLIM version for cultivation shelves made of compact aluminum profiles with two individually controllable channels for the calibration of the spectrum and luminous intensity as a function of the plant That We want to cultivate. It's possible to obtain, in this version, three types of optical lenses to further improve the efficiency of the system: 120 ° - 60 ° or 30 °. 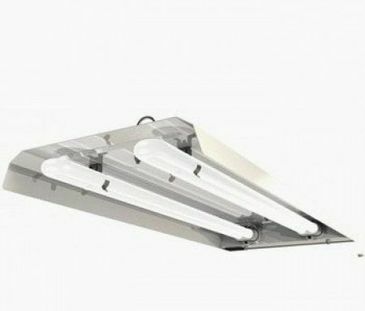 We modernized the concept of lighting shelf cultivation using high quality heat sinks to disperse the heat produced by LED pipes without using cooling fans. This system ensure a silent application. Distribution of PAR LED pipes for plants on an area of 1x0,6 meters to 40cm distant from the cultivation shelf. Test Preparation in our Growbox with PAR test and spectrophotometer. 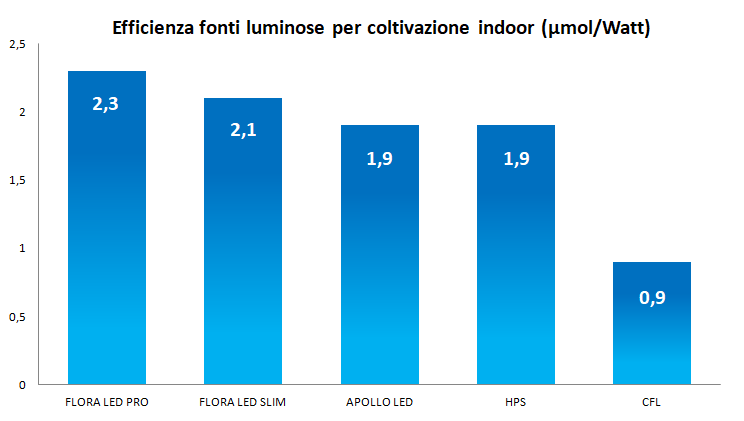 Distribution of PAR Flora LED SLIM 6500°k + Full Spectrum 120° on an area of 1x0,6 meters to 40cm distant from the cultivation shelf. 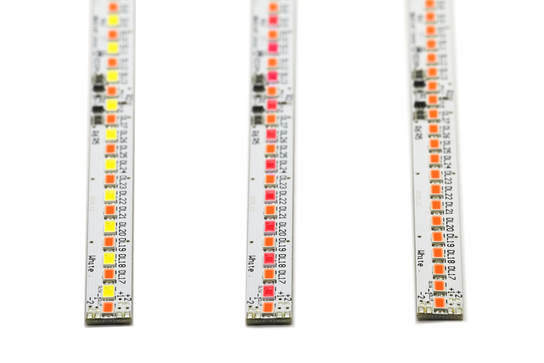 Flora LED SLIM is available in three types of light spectrum: the standard version, which uses 6500 ° K white LEDs alternating with our Full Spectrum LED; the red version with 660nm Red LEDs combined with our Full Spectrum LEDs; the full version composed exclusively of our Full Spectrum LEDs. 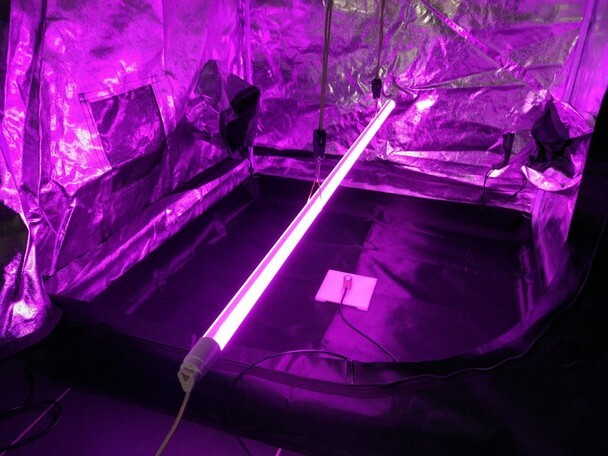 In all three versions we can independently manage two channels by adjusting the light intensity from 0 to 100%, in this way we can also modify the spectrum emitted according to the plants we are growing. 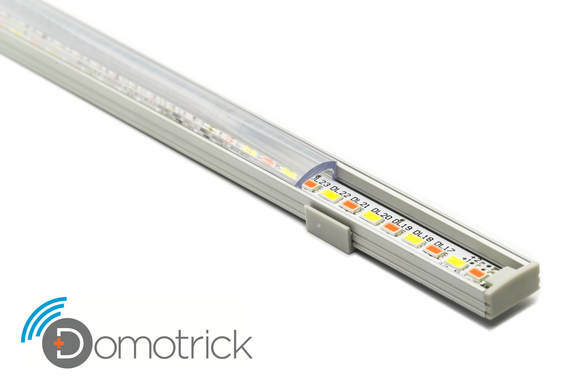 We at Domotrick know that not all plants have the same light requirements, not only in terms of intensity, but also in terms of the light spectrum. Some plants in fact need a greater blue component, others instead of a larger red component, while others still need a portion of green light to grow and develop better. With our Flora LED SLIM system we have for this reason developed three models with different spectra that allow, thanks to the two independent channels, also to optimize the spectrum emitted by the bar according to your culture or time of day, just like the Sun. We have selected the most efficient LEDs on the market and we have developed a further LED with exceptional features. 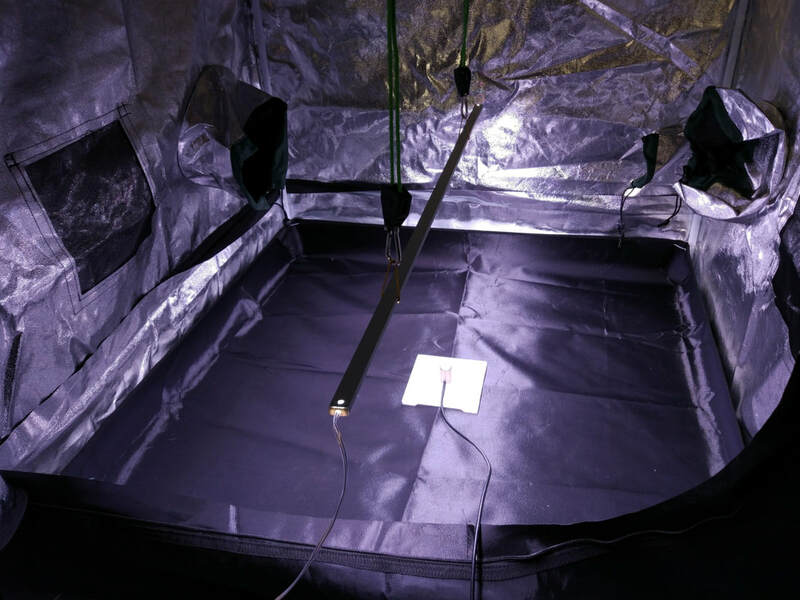 Then we tested the most efficient optics and LED drivers with less leakage to ensure maximum luminous efficiency that results in a vigorous and healthy growth of your plants, keeping the cost as low as possible on your electricity bill. As always when we develop a new product, one of the fundamental aspects concerns security This is why we have designed proprietary electronic boards that work with 24Vdc security voltage. Furthermore, our aluminum profiles are completely waterproof (IP67) and allow the use of Flora LED ceiling lights in the most humid environments without any problem. Mix successfully tested for the growth of spicy chili in shelf crops, also suitable for many other crops. Mix successfully tested with aromatic herbs and green leafy plants such as basil, lettuce, etc. Generic spectrum dedicated to the growth and development of most plants in every phase of their life.